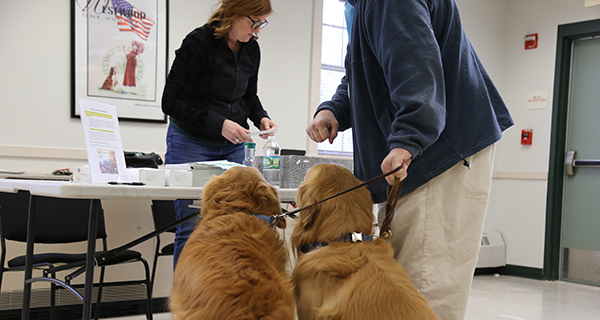 The Westwood Board of Health hosted its annual rabies vaccination clinic on Saturday, January 12, with an unprecedented turnout. 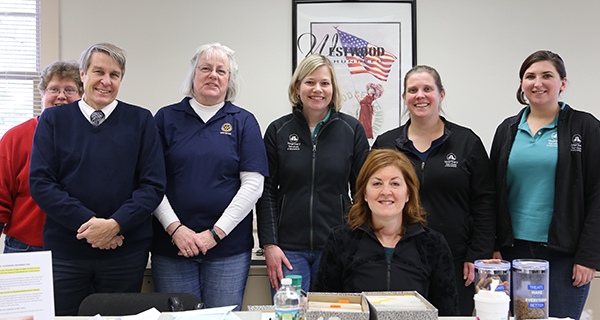 Hosted in conjunction with Westwood Board of Health, Veterinary Services of Westwood, and the Rotary Club of Westwood, the clinic is held every year to provide local pets with rabies vaccinations, and to update the licenses of those pets. With the help of an entourage of volunteers and veterinary assistants, Dr. Carolyn Thorne greeted a line of dogs, some small and unfazed, others large and timid, before tenderly giving them a quick shot to protect them from the dangerous disease. After the shot and dog-bone treat, owners and their dogs went over to table set up for Powers, who ensured that all licensing was up to date. The unexpected turnout, the Rotary Club members in attendance speculated, was due to advertising on social media for the first time.